Modern Orthodox leaders face a dilemma right now. As a blogger, I engage in the occasional armchair quarterbacking of the Jewish people. Allow me to sketch out the perplexing problem that I see facing our communal leaders. On Sunday March 21st, 2009, Rabbi Avi Weiss conferred Yoreh Yoreh ordination on his congregational intern, Ms. Sara Hurwitz. 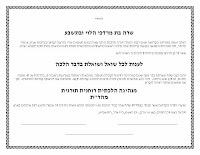 The official certificate does not use the term rabbi but instead Rabbi Weiss invented a new term for this occasion – Maharat (Manhigah Hilchatit Ruchanit Toranit). Note also that Ms. Hurwitz has served for the past five years as a congregational intern and not as a rabbinic intern – the term rabbi is once again not being used. However, ordaining a woman in any way, even if not under the title rabbi, is a significant step in the Orthodox world. This is even more so the case when the ordainee serves in a synagogue pulpit. Click here to read moreI don’t know Rabbi Weiss or Ms. Hurwitz, and my thoughts here are not aimed at them personally but relate to the direction of the segment of the Orthodox community of which they are a part. What I see is support for the role of a woman in being ordained in rabbinic fashion and serving as a rabbi. This is a radical break with Jewish tradition. It is an intentional deviation from Minhag Yisrael, from the unanimous Orthodox view just 25 short years ago (and certainly prior to that). Regardless of what halakhic arguments can be offered on the relevant technical issues (on these issues, see this post: link which will be published in a revised and updated form in my forthcoming book, Posts Along The Way), we must remember that the Conservative movement also has halakhic arguments for its positions. In terms of Jewish law rather than theology, what distinguishes the Orthodox from the Conservative is our allegiance to precedent and tradition. This latest deviation is part of a recent trend among self-identifying Orthodox Jews of deviating from traditional synagogue practices (why is the synagogue always first?). Like the Reform in the nineteenth century and the Conservative in the twentieth, these recent deviations are accompanied with detailed halakhic justifications. But that does not mean that they are correct when they act to alter the fabric of religious society in ways that had previously been unthinkable. 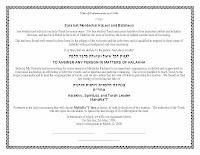 Nowhere to be heard are concerns about communal unity, misperceptions about halakhic malleability and the effects of this decision on the non-Orthodox. Nor is there discussion about the important question – “What next?” This seems to me to be a short-sighted and historically uninformed development. Some might seek to argue the halakhic issues but I think that this approach is a mistake. First, it is easy to get bogged down in the details and never fully conclude this important discussion. Additionally, those who focus solely on the technical points leave open the possibility for making a case for allowing women rabbis. In truth, many of the innovations of the Reform and Conservative movements were also potentially justifiable on strict halakhic grounds. Looking back, we tend to focus on the more extreme decisions, like driving a car to shul on Shabbos or eliminating circumcision, which are impossible to justify. However, other innovations – such as allowing Gentiles to play music to accompany the Shabbos service or permitting the use of a swimming pool as a mikveh – can be justified, even if debatably, on purely technical grounds. Others might decide to quietly blacklist those involved in the process as a remedy to this development. It seems to me that this will be counterproductive. Not only are the people involved not easily removed from Orthodox organizations but I can only expect that any such type of blacklisting will be portrayed in the press as a witch hunt. Perhaps the proper response is silence. The midrashic tradition tells of a single frog that started the second plague in Egypt. Every time someone tried to kill the frog, it would instead multiply. Continuous attempts to destroy it led to the deluge of frogs that was the plague. R. Itzelleh Volozhiner suggested based on this that sometimes the best advice is to do nothing. Had the Egyptians done nothing, rather than try to kill the frog(s), then they would have avoided the second plague. Perhaps in our case too, ignoring the problem is the solution. Maybe the novelty will wear off and people will recognize that women in the rabbinate is not acceptable in the Orthodox Jewish community. On the other hand, how can we stand by quietly and say nothing? The Haggadah discuses four sons and provides answers for each. It is curious that the response to the wicked son is not the verse associated with the question. The Vilna Gaon explained that we don’t answer the wicked son; anything we say to him will only make matters worse. However, we have to provide an answer to all the other people at the table who heard the wicked son ask his question. We cannot let his challenge of Jewish tradition stand without a response. I am not trying to equate anyone with the wicked son; this is not an exercise in name-calling. Rather, I am raising the point that answering challenges to Jewish tradition is very important even outside of a debate. If community leaders say nothing, there is a risk of widespread confusion. However, protesting in public is an option that may very well backfire. In all likelihood, the press will paint Orthodox objections to the ordination of women rabbis as a sign of fanaticism and another symptom of the much discussed “swing to the right.” Of course, this will be incredibly ironic because thirty years ago Orthodox rabbis unanimously opposed the ordination of women. But facts do not always win when confronted with press releases and talking points. In the end, I suspect that this time silence should win. The dangers of a public relations misstep are too great. Hopefully, our community in general has a sufficiently developed instinct for what is and is not acceptable. But that means that we, rabbis and laypeople, need to speak to each other informally and reinforce what we already know. We need to take to heart the lesson of Birkas Ha-Chamah. This is the blessing we recite on Erev Pesach this year, which is said only once every 28 years. We cannot forget what has happened since the last time we said it, in 1981. At that time, there was widespread debate in the Conservative movement over the ordination of women. Since then, they have not only accepted women as rabbis without any halakhic limitations on their functioning but they have also accepted into the rabbinate active homosexuals, all against the recommendation of the leading Conservative talmudic scholars. Cynical Conservative rabbinic students recently jokingly adjusted a famous statement by Theodore Herzl into “Im tirtzu ein zo halakhah – if you will it, it is no law.” After witnessing the quick disintegration of the Conservative movement’s allegiance to halakhah since its acceptance of women rabbis, how can we view this development in Orthodoxy with anything but pain? Aside from the meta-halakhic issues that surround this development, how can we not look at recent history and ask whether we are seeing another descent into halakhic chaos for socio-political ends? It is our duty to learn from the mistakes of history, for reasons that require no elaboration.